The National Carbonated Beverage With Caffeine Day is observed on December 19. Surely, caffeinated soda is not the healthiest drink, but everyone is allowed to indulge themselves every now and them. Caffeine is classified as a central nervous system stimulant. Many people like their caffeine very much and are convinced that their brain cannot function properly until their morning caffeine dose kicks in. According to research, 90% of adults in North America consume caffeine daily. Coffee and tea are the primary sources of caffeine. It is also a common ingredient of soft drinks and energy drinks. 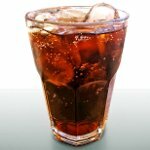 One of the best known carbonated beverages with caffeine is cola. It originally contained caffeine from the fruit of the kola tree, the kola nut. Most colas now use other caffeinating ingredients. Different cola brands have different caffeine content. Consumption of too much caffeine may be dangerous for your health as excessive caffeine intake can cause mild physical dependance. Caffeine addiction (psychological dependence), although, has never been documented. So you should not be afraid to drink a can of your favorite soda on the National Carbonated Beverage With Caffeine Day.